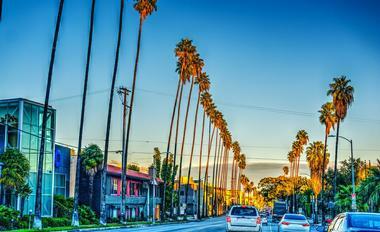 Los Angeles offers a wealth of fun for tourists visiting on a budget. Free tours of the Walt Disney Concert Hall are sure to delight Disney fans, while open public telescope use times at the Griffith Observatory will spark the curiosity of astronomy buffs. 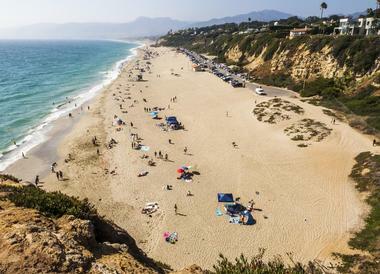 Public beaches also abound, including renowned surf spots at Zuma Beach and the hustle and bustle of the world-famous Santa Monica Pier and Venice Beach Boardwalk. 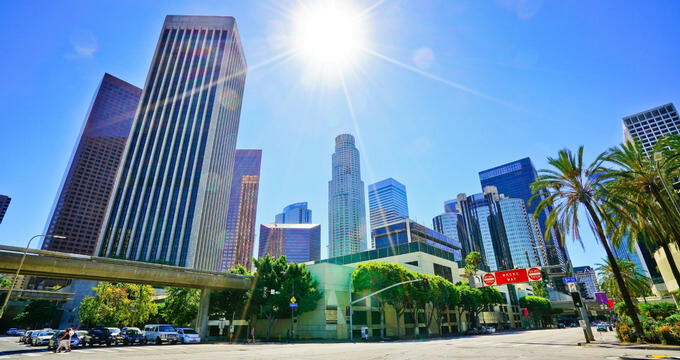 To avoid gas-guzzling traffic jams and high parking fees, visitors can choose the city's LA Metro system, which offers subway, light rail, and bus service throughout many neighborhoods. Some attractions are free only on certain days – please check before you go. Griffith Observatory is the world's most-visited public astronomical observatory, open to the public for free daily throughout the afternoon and late evening hours. The observatory was originally constructed with funding from Griffith Park founder Griffith J. Griffith and opened to the public in 1935 as the first institution in America fully devoted to public science. Today, it is owned and operated by the City of Los Angeles' Department of Recreation and Parks and has attracted more than 81 million visitors over the course of its operations. Free public telescope use is permitted on clear evenings, with public exhibitions on display throughout the facility, including "The Big Picture," the largest astronomically-correct image ever constructed, which stretches 152 feet along one of the building's walls. 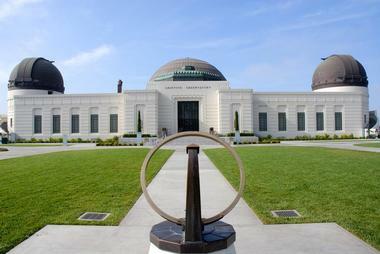 The observatory is also considered to be the best place in Los Angeles to view the city's famed Hollywood sign. 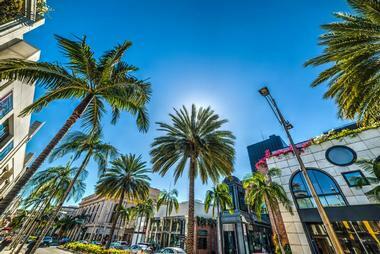 Rodeo Drive is one of the world's best-known high-end retail districts, spanning three blocks within Los Angeles' affluent Golden Triangle shopping district. Though the road itself spans two miles throughout central Los Angeles between Beverwil Drive and Sunset Boulevard, its stretch between Wiltshire and Little Santa Monica Boulevards has been home to more than 100 internationally-renowned upscale boutiques and hotels since the mid-20th century, including the flagship stores of fine fashion and accessory retailers such as Chanel, Louis Vuitton, and Cartier. 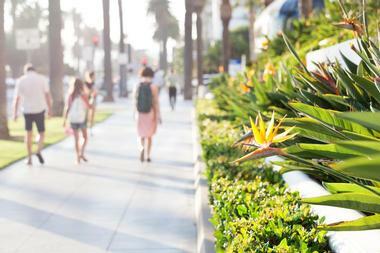 In addition to browsing stores, visitors to the district can view the Rodeo Drive Walk of Style, which was implemented in 2003 and is modeled after the Hollywood Walk of Fame, honoring legendary fashion designers and entrepreneurs for their contributions to the fields of arts and culture. Santa Monica Pier and Beach are one of Los Angeles' most iconic landmarks, spanning 3.5 miles along Los Angeles' Pacific Coast Highway. The free-admission beach is a protected California State Park, with areas provided for swimming, surfing, paddleboarding, and beach volleyball. Its most well-known attraction is the Santa Monica Pier, which was originally opened in 1909 and became an amusement park area in 1916 following the addition of the Santa Monica Looff Hippodrome. Today, the park is home to the National Historic Landmark 1922 Looff Hippodrome Carousel, along with the world's only solar-powered Ferris wheel. Other attractions at the pier include the Santa Monica Pier Aquarium and a wide variety of shops, restaurants, and nightlife spots. Visitors should note that while the pier is free to explore, many rides and attractions require an upcharge fee. The Hollywood Bowl Museum commemorates the history and legacy of Los Angeles' legendary Hollywood Bowl amphitheater, originally opened to the public in 1922. Since its opening, the theater has hosted an unparalleled slate of world-renowned classical and pop music acts and theatrical performances throughout the year. Its museum is located in a custom-built building on the edge of the amphitheater's grounds, showcasing exhibits related to the venue's history and seminal performances, including its permanent exhibit, Hollywood Bowl: Music for Everyone. Rotating temporary exhibits related to specific eras of the theater's history are showcased on the museum's second floor. The museum is open to the public for free year-round, with limited weekly operations between September and June. Visitors can also take a self-guided Bowl Walk tour throughout the amphitheater's property, showcasing informational photographic displays at important locations. Venice Beach is one of Los Angeles' most bustling beachfront areas, known around the world for its famed Venice Beach Boardwalk. The free-admission beach and boardwalk is known for its quirky, bohemian character, showcasing eclectic street performers and public art throughout its 1.5-mile boardwalk stretch. A diverse array of retail options are offered at the boardwalk, from souvenir stores and surf shops to medical marijuana dispensaries and tattoo parlors. 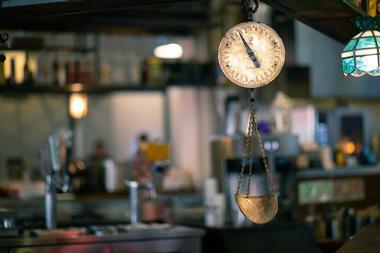 Restaurants, cafes, and nightlife spots abound along the boardwalk area and nearby Abbott Kinney Boulevard. Other nearby attractions include an outdoor gym and skate park at Muscle Beach and a large number of public basketball courts. The Hollywood Walk of Fame honors the top arts and entertainment luminaries in the world, showcasing over 2,600 brass stars dedicated to seminal actors, directors, producers, and music and radio industry personalities through Hollywood's history. The walk was originally constructed in 1960 after a citywide initiative to honor Hollywood's legacy, showcasing an initial 1,500 honorees. Today, the attraction receives more than 10 million annual visitors, making it one of Los Angeles' top public attractions. 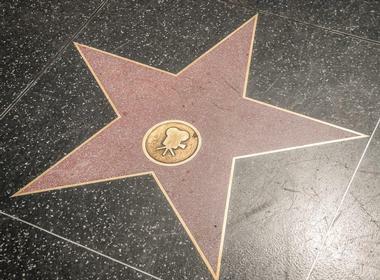 Visitors can walk along the Walk for free and see bronze stars and handprints dedicated to legendary entertainment figures, public service organizations, and animated fictional characters. The Getty Center is a free-admission art museum spanning a two-building campus in Los Angeles' Brentwood and Malibu neighborhoods, originally constructed in 1974 by industrialist J. Paul Getty in a building intended to replicate the Villa of the Papyri at Herculaneum. Today, the museum attracts more than two million annual visitors, showcasing splendid collections of international artwork that have been acclaimed as one of the best fine art displays in the world. Its original Brentwood campus presents exhibits of Western artwork from the Middle Ages to present-day works, while its Malibu campus showcases collections of artifacts from Ancient Greece, Rome, and Etruria. Hollywood Forever Cemetery is one of Los Angeles' oldest cemeteries, originally founded in 1899 in Los Angeles' Hollywood neighborhood. The cemetery, which is located along Santa Monica Boulevard, is located adjacent to the Paramount Pictures studio lot and was known as Hollywood Memorial Park up until 1998. Today, it inters some of Hollywood's most legendary celebrities, including Judy Garland, Cecil B. DeMille, Mel Blanc, and Bugsy Siegel. 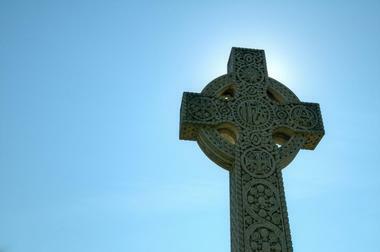 Visitors can view gravesites at the cemetery for free from dawn to dusk daily. Regular free public special events are also held at the cemetery, including a summer and holiday film series known as Cinespia, showcasing film screenings along the wall of the cemetery's Cathedral Mausoleum. 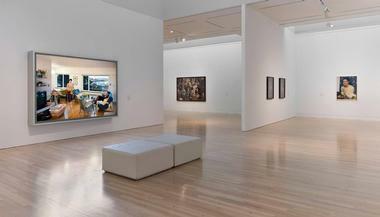 The Museum of Contemporary Art is Los Angeles' only artist-founded museum, originally opened to the public in 1979. The museum strives to showcase and collect art created since 1940, displaying items from a collection of more than 7,000 works by major contemporary artists such as Kim Dingle, George Segal, Sam Durant, Robert Motherwell, and Kenneth Price. Exhibits are housed within a classically-designed museum building along downtown Los Angeles' Grand Avenue, originally designed in 1986 by architect Arata Isozaki. Rotating curated exhibits revolve around themes such as postwar art, feminism, and youth creativity and have been acclaimed as some of the most influential and significant art exhibits in the United States. The museum is open to the public for free each Thursday between the hours of 5:00pm and 8:00pm. Travel Town Museum is a free-admission museum showcasing the railroading history of the American West Coast, located within Los Angeles' sprawling Griffith Park. 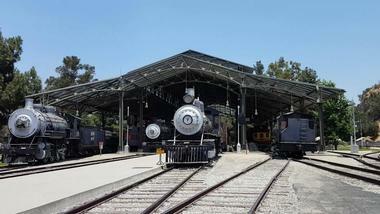 The museum was originally opened to the public in 1952 and showcases significant railroad artifacts and rolling stock from the 19th and 20th centuries, with a focus on railroading development between the 1880s and 1930s in Southern California. Over 40 railroad engines, cars, and other rolling stock are on display at the museum, housed within a mock train station and rail yard. Vintage railroad memorabilia is also showcased, along with a a gift store selling railroad-themed memorabilia. For an additional ticketed upcharge, visitors can ride in a restored train around the museum's perimeter. California Science Center is a state-operated museum located within Los Angeles' Exposition Park, which is also home to the city's natural history museum and the Los Angeles Memorial Coliseum, the home stadium of the Los Angeles Rams. The Smithsonian-affiliated museum is the largest interactive science center on the American West Coast, originally opened as the California Museum of Science and Industry in 1951. 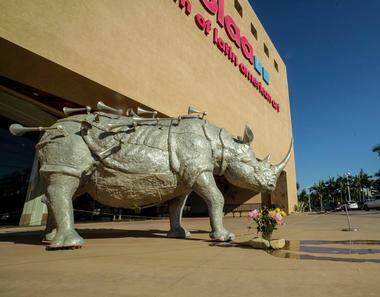 The 400,000-square-foot center hosts a wide variety of permanent exhibits for visitors of all ages, including a World of Life biology exhibit, a Creative World technology showcase, and an Ecosystems exhibits highlighting over 400 species of plants and animals in immersive habitats. 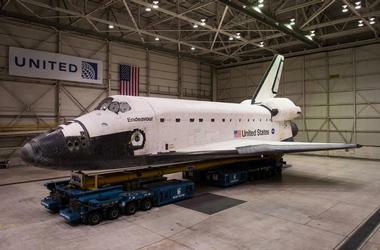 Aerospace craft and artifacts are also on display, including a Gemini 11 capsule and a replica 1902 Wright Glider. Visitors should note that while museum admission is free, several attractions require a ticketed upcharge, including the center's IMAX theater and high-wire bicycle. The Hammer Museum is one of Los Angeles' most eclectic museums, showcasing the personal art collections of entrepreneur Armand Hammer since 1990. 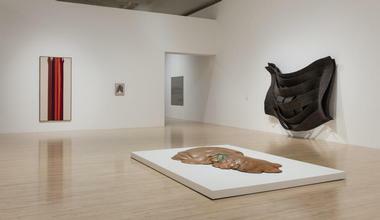 The University of California Los Angeles-affiliated museum is known for its focus on overlooked, envelope-pushing, and avant-garde contemporary artists of the past and present, showcased in collections such as the Grunwald Center Collection, which holds more than 45,000 works on paper, and the Hammer Contemporary Collection, which presents works by contemporary artists since 1960. All of the museum's exhibits and programming are free to the public, including free Saturday afternoon tours of special exhibit programming. More than 300 special events are hosted by the museum each year, including lunchtime art discussions, film screenings, and live music performances. The California African American Museum is a free-admission museum within Los Angeles' Exposition park, showcasing the cultural history and heritage of African-Americans throughout the American West Coast. The museum's origins trace back to a temporary facility at the California Science Center opened in 1981, three years before it moved into its permanent home nearby at the park. Today, it displays a collection of more than 6,300 artworks and artifacts related to the artistic, social, and civic history of African and African-American culture around the diaspora. A reference library holding more than 20,000 volumes is also available for visitor use. Public programming includes children's workshops and immersive community programming meant to bridge cultural gaps. The Workman and Temple Family Homestead Museum is a preserved historic home complex that is operated as a living history museum, presenting the former residences and cemetery of the Workman-Temple family, prominent 19th-century cattle ranchers and oil developers. 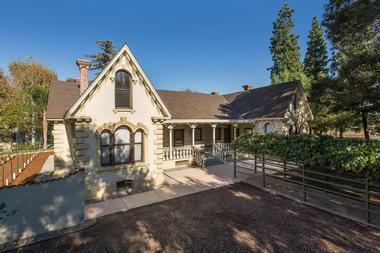 Following business misfortunes in the 1930s, the homestead entered into foreclosure and was used as a hospital and military school for several decades before being purchased by the City of Industry in the late 1970s. Today, the homestead showcases the family's original home residence, Spanish Colonial Revival-style La Casa Nueva, and private El Campo Santo Cemetery. Free tours of the homestead are available daily on the hour throughout the afternoon hours, with special behind-the-scenes tours offered periodically. The Museum of Latin American Art is the United States' only museum exclusively dedicated to contemporary and modern art works by Hispanic artists, originally opened in 1996 by Robert Gumbiner. 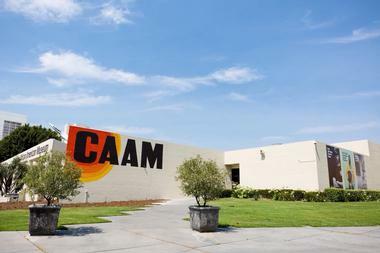 The museum is housed within a contemporary-style building in Long Beach's East Village Arts District that was renovated by Mexican architect Manuel Rosen and features four galleries and a sculpture garden dedicated to displaying rotating exhibitions by prominent and emerging Latin American contemporary artists. A permanent multimedia collection of more than 1,500 works is also showcased, including pieces by Dario Escobar, Liliana Porter, Pájaro, and Flavio Garciandia. The Smithsonian-affiliated museum is open to the public for free each Sunday, with additional free hours offered on the fourth Thursday evening of each month. 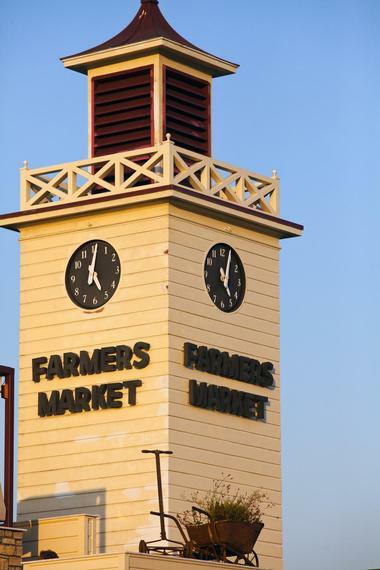 The Original Farmers Market is a premiere foodie destination in Los Angeles' Fairfax District, located adjacent to the outdoor Grove shopping center. The historic Los Angeles landmark was originally opened to the public in 1934 and has hosted famed enterprises such as the County Kitchen, which was staffed by film actor Mickey Rooney. More than 100 vendors are presented at the market today, including grocers, souvenir shops, and food vendors specializing in a wide variety of international cuisines. Restaurants range from celebrity-chef offerings such as fried chicken joint Fritzi Coop and international firsts in Los Angeles such as Singapore's Banana Leaf to national chain favorites such as Buca di Beppo, Chipotle, and Starbucks. The market is open to the public seven days a week and offers free shuttle service to the Grove. Runyon Canyon Park is a 160-acre public urban park located in Los Angeles near the eastern edge of the Santa Monica Mountains, known as a popular spot for celebrity sightings due to its proximity to residential neighborhoods in Hollywood and the Hollywood Hills. 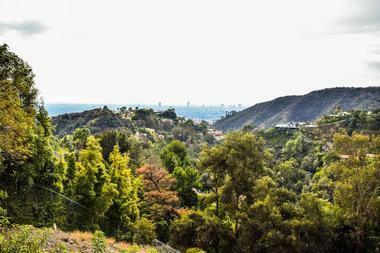 The park is a popular spot for hiking along Runyon Canyon, featuring a fire access road that may be used for hiking and biking along the center of the park and several smaller meandering hiking trails of varying difficulty levels. It is home to a broad population of wildlife, including coyotes, lizards, deer, and birds of prey. Dogs are permitted off-leash within 90 acres of the park's lands. 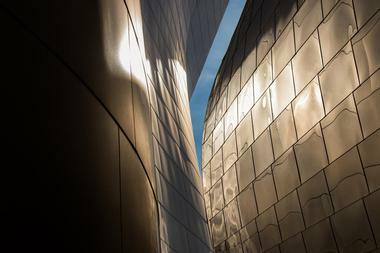 Walt Disney Concert Hall is the official home of the Los Angeles Music Center, designed by architect Frank Gehry and presented as a gift to the City of Los Angeles by Diane Disney Miller, the daughter of famed animator and entrepreneur Walt Disney. The music hall was opened to the public in 2003 and showcases ticketed performances by the Los Angeles Philharmonic. Free hourlong guided tours of the venue are offered on weekdays, along with self-guided audio tours available at all times the venue is open and not showcasing performances. Audio tours are narrated by actor John Lithgow, elaborating on the history of the Disney family and showcasing the facility's beautiful pipe organ, rooftop garden, outdoor children's amphitheater, and Ira Gershwin Gallery, which features artifacts on loan from the Library of Congress. Sunset Boulevard is one of Los Angeles' most famous roads, immortalized in pop culture after the 1950 feature film Sunset Boulevard, its subsequent Andrew Lloyd Webber musical adaptation, and the 1950s television show 77 Sunset Strip. The boulevard stretches throughout the central and western portions of Los Angeles County, between downtown Los Angeles and the Pacific Coast Highway. 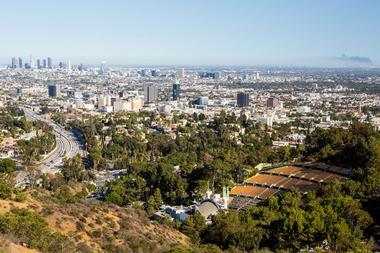 Visitors can experience Los Angeles' classic scenery and atmosphere cruising along the boulevard, passing sites such as the famed Hollywood High School, Chateau Marmont, and the Self-Realization Fellowship Lake Shrine, a meditation temple that was a favorite spot of Elvis Presley and George Harrison. A number of upscale retailers, bistros, and nightlife spots are also located along the boulevard, which ends at Sunset Beach and the UCLA Westwood campus. For exploration without a vehicle, portions of the boulevard are walkable, and the entire route is traversed by the city's 2/302 bus line. Grand Central Market is an historic food emporium in downtown Los Angeles that has been open since 1917, hosting an ever-changing lineup of grocers, butchers and fishmongers, delis, restaurants, and other food vendors. At its peak in the early 20th century, it hosted more than 90 vendors, with over three dozen available today. Historic and modern vendors mingle, including Salvadorean diner Sarita's Pupuseria, breakfast and lunch favorite Eggslut, and Golden Road Brewing, Los Angeles' premiere local microbrewery. Produce, meats, dairy, and other grocery essentials are sold at vendors such as Clark Street Bread, DTLA Cheese and Kitchen, and the District Market. A variety of public special events are hosted at the market, including film screenings and game nights. 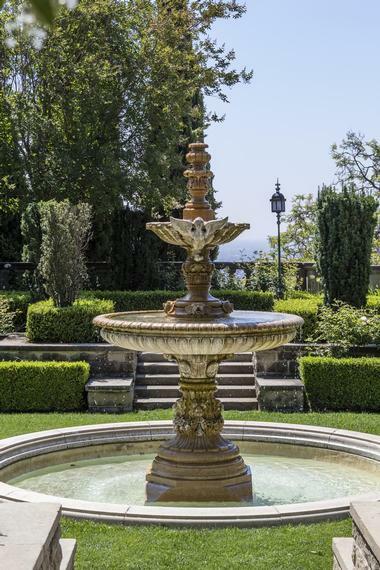 Greystone Mansion and Gardens, commonly known as the Doheny Greystone Mansion, preserves the former estate and grounds of the Gordon Kauffman-designed Tudor Revival mansion that was constructed in 1928 for Ned and Lucy Doheny. At the time of its construction, the estate was noted for its high development cost, totaling over $3 million USD, an unprecedented sum for the era. The mansion was purchased by the City of Beverly Hills in 1965 and converted into a city park in 1971, added to the National Register of Historic Places five years later. Today, its 18.3-acre park grounds are open daily to the public, with the exception of major national holidays and Hollywood filming events. Free parking is available at the park during open days. Visitors should note that the mansion is only open to the public on annual special events, many of which require a ticketed upcharge. Zuma Beach is one of Los Angeles County's most popular public beaches, consistently ranked as one of the region's highest-water-quality beach sites. The beach is named after a misspelling of nearby Point Dume on an 18th-century charted map of the region by explorer George Vancouver. 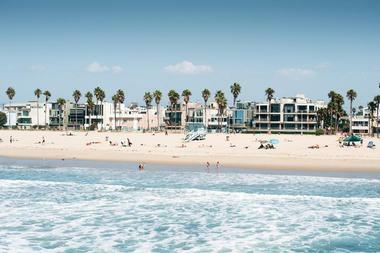 Today, it lies along the Pacific Coast Highway and is known for its beautiful wide sands and prime surfing conditions. The beach was featured in many prominent 20th-century American films and television series, including Planet of the Apes and I Dream of Jeannie, and was the site where the hit pop song "The Boys of Summer" was written by Don Henley. Swimming, windsurfing, fishing, bodyboarding, and kiteboarding are permitted at the site, which also offers volleyball courts and an ADA-accessible walkway. Visitors should note that the beach's parking lot requires an entrance fee, though limited street parking is available along the Pacific Coast Highway. Third Street Promenade is one of the Los Angeles Westside's premiere upscale shopping and entertainment districts, located in Santa Monica's downtown area. The district has been one of Santa Monica's primary business districts since the turn of the 20th century, with the current Promenade section developed into a pedestrian mall in the 1960s. Today, it functions as an open-air shopping center, hosting internationally-known retailers such as H&M, Sephora, Armani Exchange, and Anthropologie, as well as several movie theaters showing first-run and blockbuster films. It also hosts the region's oldest and largest farmer's market, held each Wednesday and Saturday. Street performers frequent the district on weekend evenings, including singer-songwriters, magicians, dancers, and drummers.